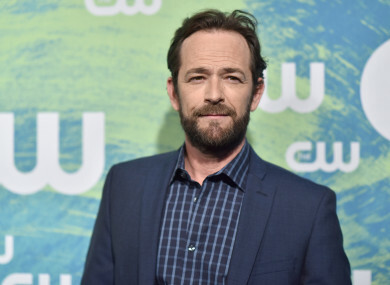 AMERICAN ACTOR LUKE Perry has died at the age of 52 after suffering a stroke, his agent has confirmed. Perry rose to fame in the 1990s for his role playing Dylan McKay on the hit television series Beverly Hills, 90210 and most recently starred in the Netflix series Riverdale, an adaptation of the Archie comic books in which he plays Archie’s father Fred Andrews. The actor was hospitalised in California last week after he suffered a massive stroke. Perry, who was hospitalised in the Los Angeles area last week, died surrounded by his two children, his fiancée and ex-wife, his parents, siblings and other close family and friends, his agent Arnold Robinson told AFP. “The family appreciates the outpouring of support and prayers that have been extended to Luke from around the world, and respectfully request privacy in this time of great mourning,” Robinson added, in a statement. Email “Beverly Hills, 90210 actor Luke Perry has died aged 52”. Feedback on “Beverly Hills, 90210 actor Luke Perry has died aged 52”.